Since most colleges don’t have classes on budgeting and basic money management it’s up to students to educate themselves. This collection of 33 free student budget calculators, spreadsheets and worksheets will help students of all ages create a workable budget — plus learn some basic budgeting skills along the way! These web-based college budget calculators will help you see where you stand financially. These calculators are web-based, and you can’t save the results. This means that they’re only good for a one-time look at your financial position. To get more out of these calculators, use them as a starting point for the worksheets and spreadsheets below! 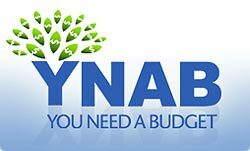 Annual Student Budget Calculator — The Student Budget Calculator calculates the difference between your expenses and income, identifying when you are spending beyond your means. Budget Calculator from the Department of Education — Our budget calculator will help you determine your expenses and estimate your total available income. You will need to consider all of your resources and the total cost of your education. College Budget Calculator — Use this calculator to itemize your income and expenses, and see how much cash you’ll have left over each month. Student budget calculator — This student budget calculator allows for input of expenses and income for an eight-month school year running from September through April. In-School Financial Budget Calculator — This budget calculator can be used to estimate your education and living expenses while you are in school. Student Budget Calculator — Enter your monthly income and expenses in the fields below and click the ‘Calculate My Budget’ button. Chase Student Budget Calculator — The Student Budget Calculator calculates the difference between your expenses and income, helps you identify the financial gap. Once you know what your budget is (using one of the calculators above) it’s important to track your spending and make sure you’re not spending more than you have. Print out your budget and tape it to your wall for best results! Budget Worksheet — In School — Managing your money while you’re in school. Budget Worksheet — Out of School — Managing your money during the summer months, or when not attending college. Monthly Budget Worksheet for College Students — For those who choose to budget month by month – printable. Semester Budget Worksheet for College Students — For students who want to budget for the semester, instead of the month. School Year Budget Worksheet for College Students — For students who like to see ahead for the entire year. Printable Budget Worksheets from Colleges — Are They Smarter? You Decide! These printable budget worksheets come from colleges themselves — and some of them quite well known. It’s interesting to note that colleges focused more on creating budget worksheets than calculators. This is probably because they have more long term impact on your spending behavior! University of British Columbia — UBC Student Financial Planning Worksheet — To get a clear financial picture during your studies at UBC, create a budget that considers both university and living costs. Samford University — Student Monthly Budget Worksheet (PDF) — Highly detailed list that leaves very little up to the imagination. University of Alaska — College Budget Work Sheet (PDF) — College can be an enjoyable experience but it won’t be if you are constantly stressed out about money issues. Durham University in UK — Student Budgeting Spreadsheet (£) To make your own personal budget, click on the link below to open the budgeting spreadsheet. Fill in the budgeting spreadsheet using the step-by-step guide. San Diego State University — the Study Abroad Budget Worksheet — Depending on your length of study, some costs may vary. You may wish to budget some of your costs on a weekly or monthly basis. Remember the exchange rate may help or hurt you! If you want to prepare yourself for financial success, these two spreadsheets will really help you to lock down your college budgeting. Getting comfortable with spreadsheets may take awhile. Student Budgeting Spreadsheet (an XLS Spreadsheet Download) — Use this worksheet to keep track of your financing and spending costs to avoid shortfalls and excessive debt while attending school. The Monthly Budget Planner from Microsoft Office Excel — Keeping a budget, while boring, is the best way to make sure you have money for things that are important to you. It’s funny how much money people can spend simply because they haven’t considered the alternatives. These calculators will help you spot some opportunities for saving money while you’re in school. Is a meal plan a good deal? — This calculator helps you make the call for yourself – don’t trust the campus marketing! Should I live on campus, off campus or at home? — The comparison might seem simple, but it’s not. Remember utilities, plus a range of other possible costs! Brown Bag Savings Calculator — Can you cook more meals for yourself rather than relying on campus food or restaurants? Well, you could be saving quite a bit on your debt! MyCESI.org is a nonprofit organization committed to empowering and inspiring consumers nationwide to becoming debt free.